When it’s that time of year and everyone is bundled up for the cold, you may not think there’s anything extra to know about playground safety. We know not to stick our tongue to a pole (thanks Ralphie and Flick! ), but we’ve rounded up more complete a safety and maintenance guide for any playground in winter this weather. How Old and How Cold? When you’ve been stuck inside, it may seem like a no-brainer to go outside and play but many things factor into whether or not it’s a good or safe idea. Younger kids are more susceptible to colder temperatures and are less likely to know when they are too cold. They also need to be supervised to ensure they dress warmly enough for the temperatures outside. The “cold” has several factors that affect how cold it actually feels outside. Precipitation and strong winds can chill you a lot faster than on an average wintry day. Take into account the age of the children and the nature of the weather conditions to prevent hypothermia. It is likely that children will still be playing on playgrounds that use all types of safety surfacing during the cold winter months that many areas of the country experience. Slick ice patches are extremely dangerous and often hidden from view. Check all concrete and paved areas, especially under piles of snow for ice patches. Also check any areas that are shaded from the sun, as ice can last a lot longer, even days after it’s started to warm up. Anywhere that water could pool is a likely place for ice to form. Do a quick scan of the areas above the playground in trees and rooflines for falling icicles and sheets of ice too. During this time, playgrounds with wood mulch surfaces should be checked frequently by parks and recreation departments, schools and municipalities. If the surfacing is frozen, use of the playground should be restricted accordingly. It is the only way to ensure that kids are kept safe and protected from injuries that are the result of falling on a frozen wood mulch surface. Equally dangerous is any ice and snow that has melted or started to melt. It can make icy surfaces even more slippery, and wet clothing chills your body—dropping your internal temperature even faster. Be on the lookout for puddles, cracking ice, or areas the sun has started to shine over. If the kids (or adults) have been throwing snowballs, make sure none of it gets inside their hoods or jackets, and that all gloves are still dry. The temperature of the equipment itself can pose a hazard in cold weather. Touching a metal surface that is frozen can cause frostbite right away. The most common areas affected are the extremities—including fingers, toes, ears, and noses. Educate yourself on how to treat and recognize frostbite, and do regular checks during playtime. Rubber mulch does not absorb water. Unlike wood mulch, water won’t get inside and expand rubber mulch. When things freeze, they also get slippery, and for this reason, rubber mulch is also safer due to anti-slip properties. 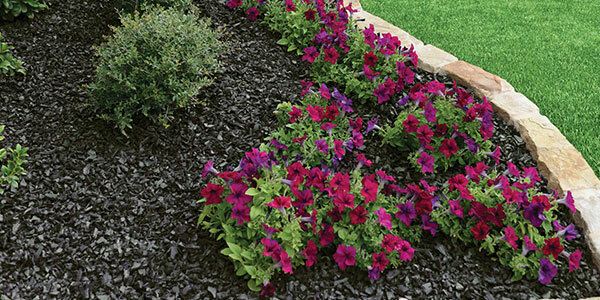 Rubber mulch is mold resistant. Since rubber mulch does not retain water, mold, fungi, and other pesky growths thrive in moisture will not be able to grow. Fall height protection. Playgrounds that have GroundSmart™ Rubber Mulch safety surfacing installed with proper drainage offer consistent fall-height protection, for up to *16 feet of fall protection (with 6-inch layer*), regardless of weather. Read more about improving playground safety here. 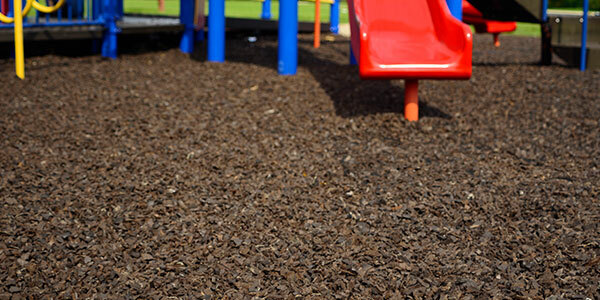 Contribute to the safety of your playground by using GroundSmart™ Rubber Mulch as a safety surface. 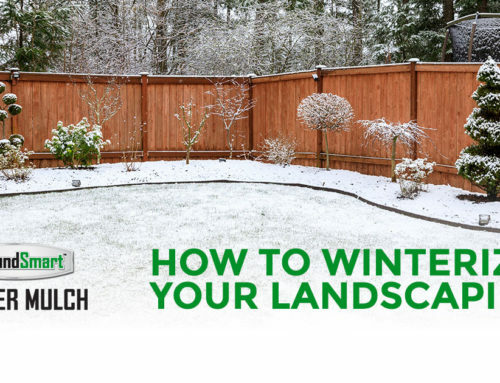 It leads the industry in fall height protection, doesn’t freeze, and doesn’t absorb or collect water. If you have any questions about GroundSmart™ Rubber Mulch products, please give us a call at 800-961-0909, email us, or view our Playground Rubber Mulch FAQ’s.